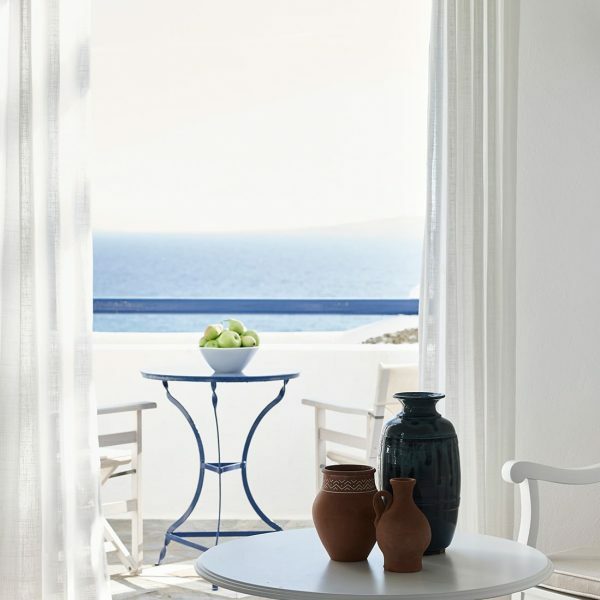 The Loft Suites with Panoramic Sea View in Houlakia Bay, Mykonos are ideal for families and can comfortably accommodate up to four guests. 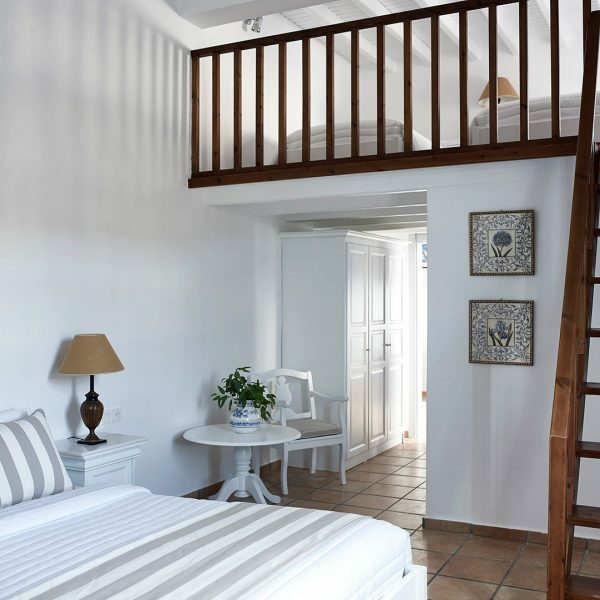 These panoramic sea view suites feature a large double room leading to an open loft with two more beds. A seating area can also be found in these rooms. Loft Suites are equipped with direct dial telephones, air conditioning and heat, satellite TV, radio, mini fridge, safe and hair dryer. 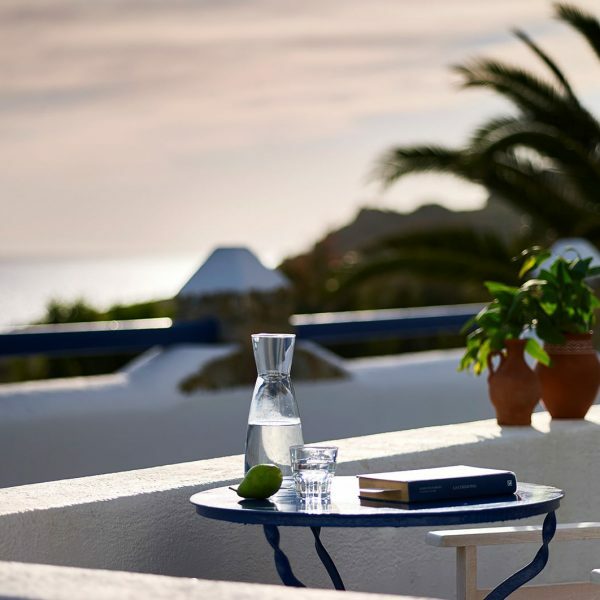 The Loft Suites with Panoramic Sea View are located in the fourth building, at the highest point of the hotel complex, offering a beautiful sunset sea view from the suite’s spacious private veranda. 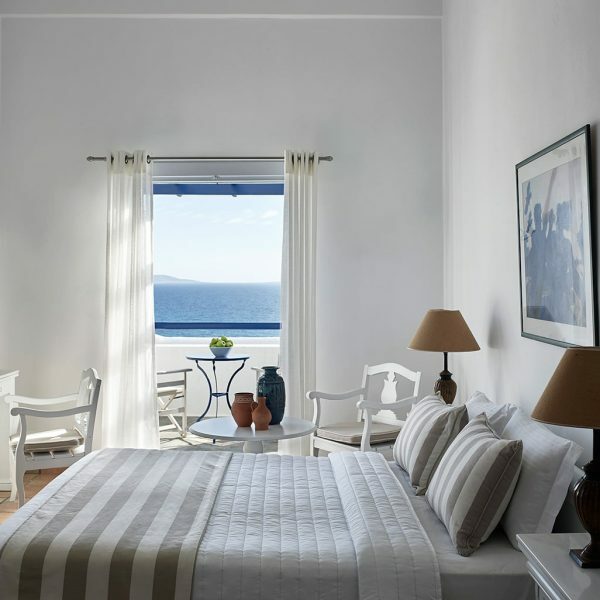 Get a special 15% special discount off the regular San Marco Luxury Hotel & Villas room rates! 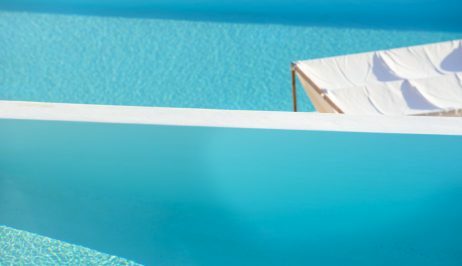 Check out the Hotel Offers page for more information.